And Justice For Art: WORLD EXCLUSIVE: Unveiling artwork for the poster of the documentary "Home Of The Wind. A History Of Moonsorrow." Independent film-making proposes many challenges—including finding proper financing to make your ideas a reality. Young filmmakers, Leo Aragon and Abel Grilo Do Demo, know this and are currently embarked in a titanic crowd-funding campaign via Indiegogo to raise the funds they need to finish their epic documentary "Home Of The Wind. A History Of Moonsorrow." As the title indicates, this film will be a recount of the career of Pagan Metal heroes, Moonsorrow. The filmmakers have the complete support of the Finnish band, who are helping them in their efforts to raise funds for the documentary. So far, their combined efforts have raised 70% of the campaign's goal. 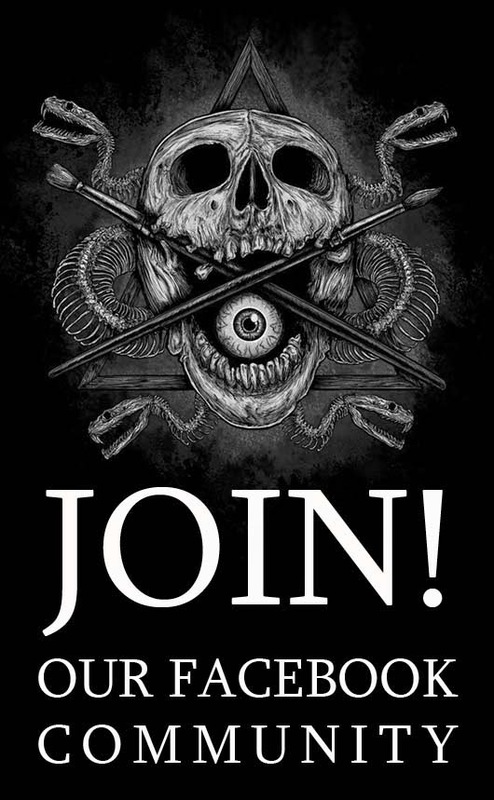 The film's official poster was painted by seasoned illustrator, Kris Verwimp, who is well-known for his epic album covers for bands like Absu, Marduk, Suidakra, among others. He previously collaborated with Moonsorrow on the creation of the cover for the EP, "Tulimyrsky." In the following interview Verwimp talks about the creation of the poster for the documentary. His impressive, evocative Nordic-inspired landscape can be seen for the first time below in its original form—without any lettering or band logo. Kris, you have been painting artwork for metal albums for over 20 years. How did you start? Was it your own initiative, and did you decide to do it continuously already at that time? Kris Verwimp: Actually, it all started way back in 1993 when I was trying to find a publisher for my Odoric comic book. At a local convention, the owner of a small underground label called “Midian Creations”, asked me if I would be interested in painting an LP cover for Ancient Rites’ “The Diabolic Serenades”. I had always been into Metal, but I never imagined I would ever get the chance to actually design an album cover. So I jumped at the opportunity and tried to create my best work ever. It was never a conscious decision. In the following years I just kept getting artwork requests from great bands. The music is always my number one source of inspiration. So when the music is great, it’s not hard to find the motivation. 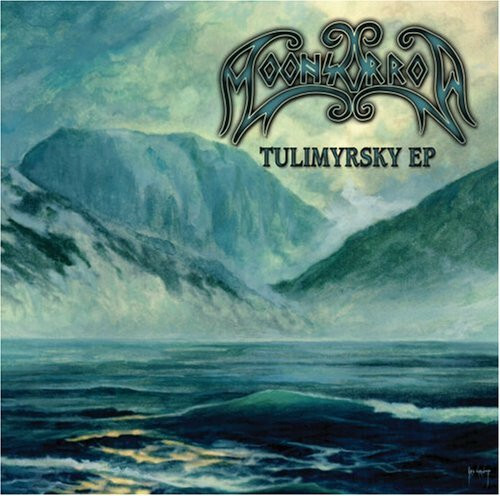 You painted the artwork for Moonsorrow's Tulimyrsky almost nine years ago, and it became a popular painting, that was even made into a huge poster in 2014. What are your memories about that one, concerning inspiration and the painting process itself? Kris Verwimp: Well, I must start by saying that I was a fan of Moonsorrow ever since their first album “Suden Uni”. It was a blind purchase at the time, but I loved it immediately and bought all their releases ever since. I’ve spent many hours painting while listening to their music. To my surprise, one day I got a mail with the message that it was my turn to create an artwork for them! They presented the idea to do a very wide artwork. In fact, it was the same amount of work as 5 regular covers. The front cover would be this calm scene of only water and mountains, with only a hint of what was really going on. It was such an inspiring idea that it wasn’t difficult for me to come up with several rough compositions to choose from. The painting process itself took quite a while, but I remember enjoying it a lot. I love epic historical scenes, so this was a great opportunity. What was your reaction when you got a request about a Moonsorrow documentary—which needed pretty much the exact opposite of an epic historical action scene? Kris Verwimp: Actually, I thought it was a great idea! I believe that nature can also be pretty epic and I think that the concept fits the title very well. There’s also the fact that the illustration has to serve as a backdrop for the logo. So it was something a bit different than usual and it required a different approach. I thought it would be a nice challenge. What inspired you to paint this particular image? Were you given a clear description, just a few guidelines, or did you have complete freedom? Kris Verwimp: I was given the title and some guidelines. It had to be a nature scene in a DVD size format and there should be enough room for the logo. Everything else was up to my own imagination. The title itself creates a certain expectation, so I wanted to go for a sweeping landscape with a lot of open space and a lot of sky to convey the concept of the wind. The warm colors were meant to add a sense of belonging. The animals were painted to make the composition a bit more dynamic. 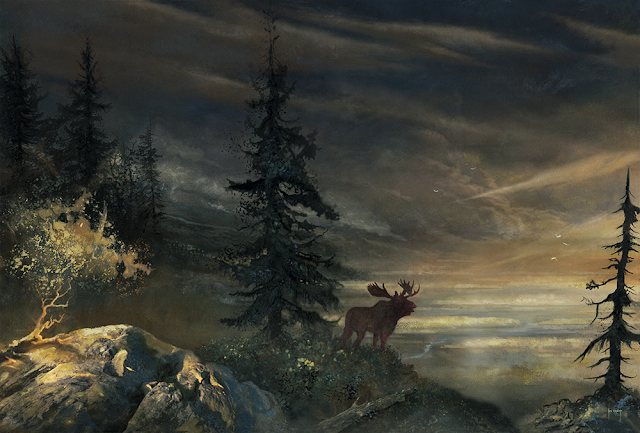 The main source of inspiration was of course Moonsorrow’s epic music itself! What technique did you use in the "Home of the Wind" artwork, and why did you choose it? Now you've just made a painting for a film, even if music-related. Have you made artwork for films before? Is it different for you, and if so, in what ways? Kris Verwimp: A few years ago I also worked on “Death of a Shadow”, a Belgian short movie directed by Tom Van Avermaet. I created concept art and credits illustrations. The movie featured actor Matthias Schoenaerts and it was even nominated for the Oscars in 2013! The big difference with painting album covers is that you get to see your drawings turned into reality at some point. Which is very cool of course, even if the final result could look a bit different. I’ve always been very interested in movies. After all, the reason why I started drawing in the first place was because of my love for movies such as Conan The Barbarian, Excalibur, Mad Max, Dune, etc.. In those days a movie could only be experienced at the cinema. So the only way for me to recreate the experience at home was by trying to draw what I had seen. It was also the reason why I started drawing my own comics. A comic is actually very similar to a movie storyboard and you get to be writer, director, photographer, costume designer, etc… And the best thing is that the budget is only limited by your imagination. 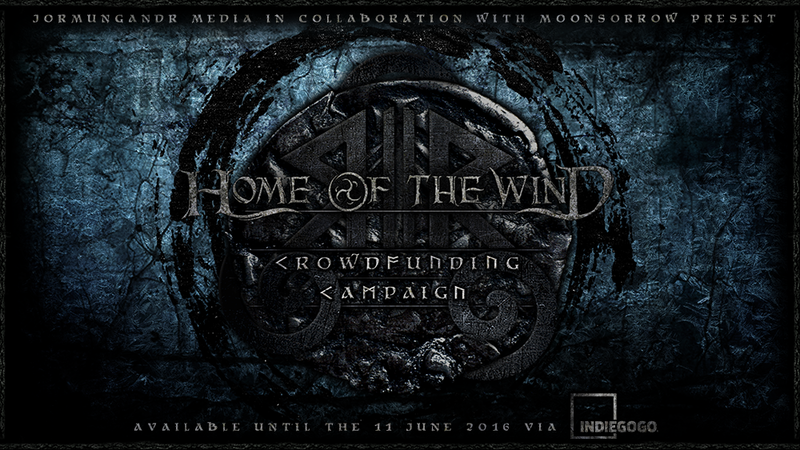 Those interested in supporting the film can check "Home Of The Wind" official Indiegogo campaign and the official Facebook. The campaign offers all kind of perks, from digital copies of the documentary to rare band-signed items. Continuously preferred the verse of the expression (the songlines), yet have never truly comprehended what it implies. It appears to be such a lovely method for seeing the world. A debt of gratitude is in order for this article.Thanks for sharing your article. I wish share my job resume writing service site with you, I hope this site helpful for you. this blog is great .. I just love the way your website looks. It is so unique! Are you looking for cheap ray bans? We sell 100% genuine Fake Ray-Ban 4105 well below the official and offer free UK delivery. I have been using this replica watch,Audemars Piguet Watches Toronto it is a very beautiful and affordable automatic watch,Buy Jeanrichard Watches good size, great quality, elegant and temperament, Tag Heuer Watches Ebay Ukis my favorite style.Hublot Watches Cheap I shared this website with my friends and they were very happy.